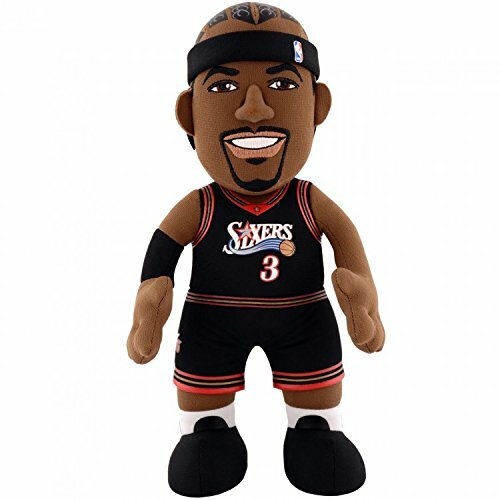 Philadelphia 76ers Allen Iverson 10'' Plush Figure by Bleacher Creatures at Basket Express. MPN: PLUS-NBAH-10-76R-AIVE. Hurry! Limited time offer. Offer valid only while supplies last. Bring home one of your team's greatest legends! Show your spirit and remember your team with this soft and cuddly version of your sports hero. Bring home one of your team's greatest legends! Show your spirit and remember your team with this soft and cuddly version of your sports hero. Perfect for the home or office, children or adults. This plush doll has team colors and logo, and is created with a striking likeness to the player you choose! If you have any questions about this product by Bleacher Creatures, contact us by completing and submitting the form below. If you are looking for a specif part number, please include it with your message.